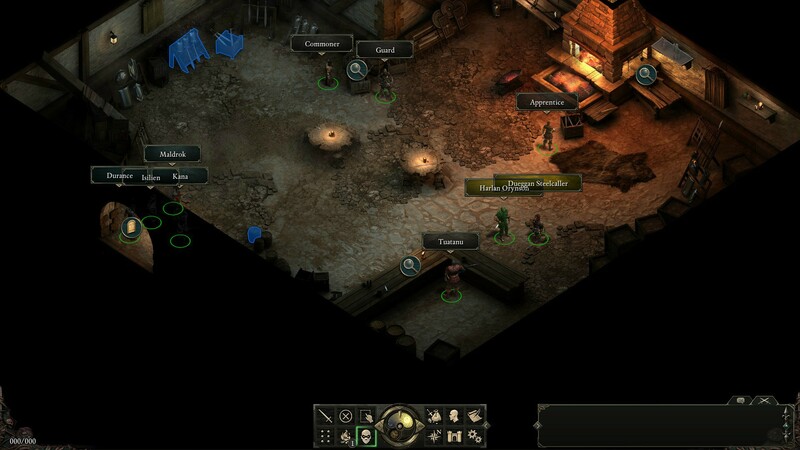 The issue appeared after i quickly exited and reentered the Blacksmith in Gilded Vale. Observations - I can see the party standing in the doorway, but i cant mark them. Also the portraits are not showing the the lower left corner of the screen. Nothing is interactable though the cursor can hover over items and the right cursor icon displays. When i display inventory the windows and frames of the inventory are blank, as if there were no party members. 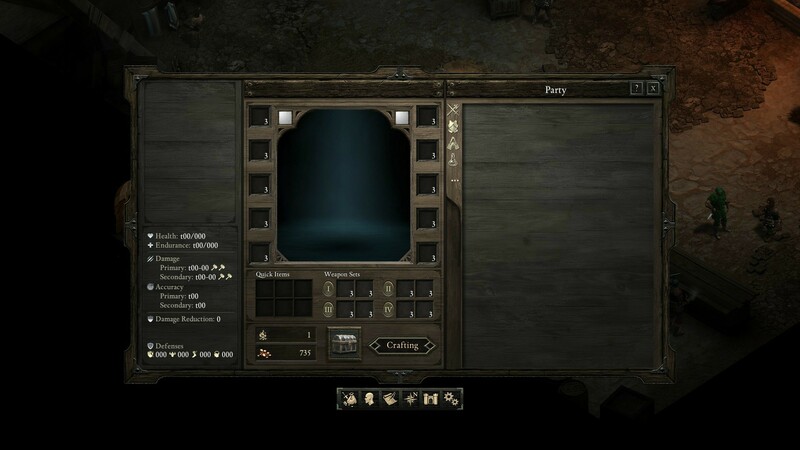 Here are two screenshots, one of the gameplay and one of the inventory. Ive replayed and i think the matter came to hand because after I exited the blacksmith shop there is suppose to be an encounter and cut-scene. My hypothesis is that: When I exited the blacksmith shop, i spammed the doorway, so that i could re-enter it again, and overrided the cut-scene. Maybe something got stuck because of that. I got exactly same bug yesterday. Damn it's frustrating to start all over again even tho it's not so far. Hope they will find some kind of fix for this asap! Thanks for reporting this issue and I am sorry you had to restart your game because of it. This bug has been written in our database.